﻿﻿﻿Open 9.00 am to 5.00p.m Monday to Friday. ﻿Primary Care Doctor ﻿- ﻿Physician﻿, practicing in Las Vegas, since 2001. 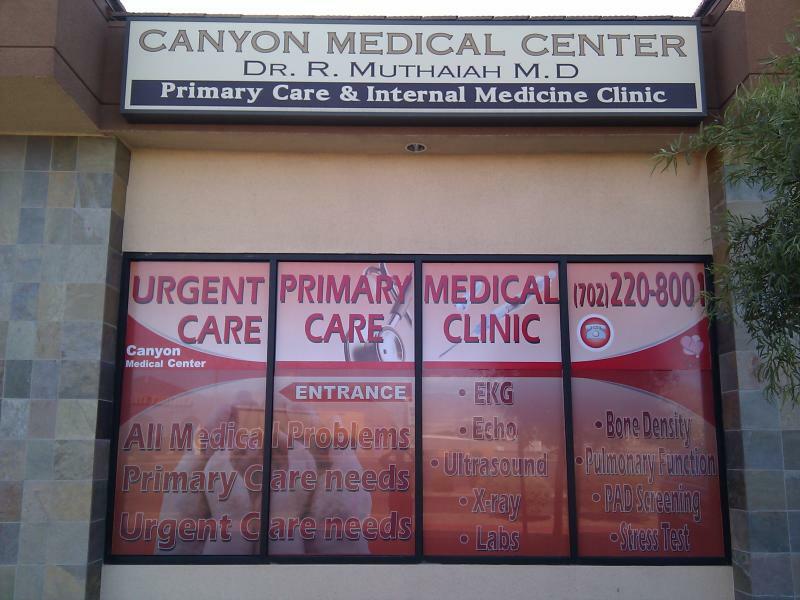 Canyon Medical Center - ﻿Primarycare Clinic﻿ is located, just OFF FreeWay US 95 N. Our Las Vegas Primarycare Doctors, accept most insurances, including medicare. Canyon Medical Center - Board Certified M.D. Our Las Vegas ﻿Primarycare Physicians﻿ accept Walk ins, also appointments provided within short time to accommodate medical needs. Our Doctors in Las Vegas, Physicians in Las Vegas, practicing in Las Vegas, since 2001. Canyon Medical Center. Urgent Care Doctors. Physicians accept most insurances, including medicare and medicaid. Las Vegas Doctors and Physicians accept Aetna, United HealthCare, Teachers Health Trust, UMR, Teamsters, Beach Street, Culinary, Sierra Choice and Sierra HealthCare, Cigna, Anthem BlueCross BlueShield, Casino insurances and much more. All Medical Problems & Primary Care needs addressed. Physical Exams for Sports, Work.